Why would EF show all the empty seats as blocked, when on UA they show as available? I am sure that is what the GDS shows, but why would UA publish it that way? Are your searches for different days? 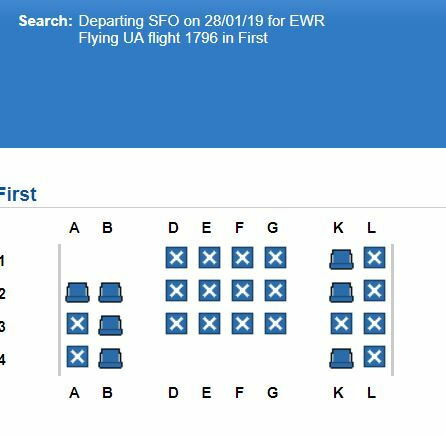 The UA seat map display says "Depart SFO: Sun, Jan 27" while the EF seat map display is for "28/01/19". Is there a reason why flights are not shown on the "Award and Upgrades" section but shown on the "Flight availability"
Because no direct TG flight has any awards or upgrades available. Connecting flights are shown if at least one segment is available. So if I put a manual search for O or I awards it will alert me if it comes up? If you mean creating a manual Flight Alert, then yes. Another trick is to add a fare class code like Y as an Other Class code to the Award search. 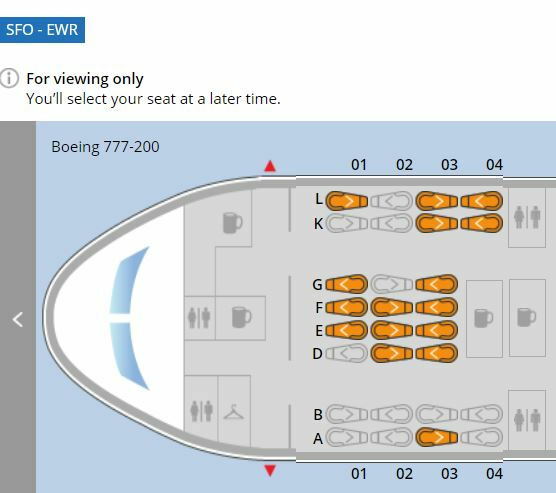 You still won't see the award class if it's not there, but it would force the flight to show. Is there a significant difference in using a GDS (not ticketing, just availability) over using ExpertFlyer? Is there any difference? More current? More expensive? Any way to add Vietnam POS, given the Cathay mistake fare? Do you have access to a personal GDS tool? My EF membership has lapsed b/c I've gotten pretty good at finding what I need otherwise. But I'm having some difficulty and have two questions before I pay for EF. 1) UA and CA both show 5x seats for CA flights at the saver level (I have no status or cc for these programs), but ANA won't work with more than 4 for CA flights. Will EF be able to determine if the 5th is available to ANA? I can call, but would like to search options first. 2) UA and CA both show ZRH-VIE-ORD (on Austrian), but when I do a straight VIE-ORD search, no VIE-ORD shows up. Will EF show the direct as singly bookable? I believe it will, but I haven't used it in a few years. UPDATE: I went ahead and re-upped EF, which says only 4x on those CA flights. They must limit to 4 generally. And the VIE-ORD shows up, so I guess that's a call in. I am searching connections and I am seeing absolutely bewildering choices. QYC? HHI? What are these? I mean, QYC is the bus station in Drachten but I am reasonably sure noone flying from Africa to the Carribean needs or wants to go through that. HHI is a tiny airport on a tiny island and I am reasonably sure it is not connected to Frankfurt, Amsterdam, Atlanta and Casablanca and more.